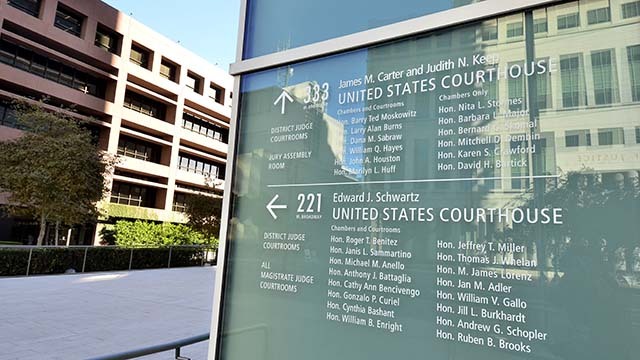 A nurse practitioner pleaded guilty in federal court in San Diego Tuesday to taking part in a fraud scheme that bilked a health-care program for military personnel out of more than $65 million. Candace Michelle Craven, 52, admitted to conducting sham “telemedicine” evaluations that resulted in the issuance of pricey prescriptions through the Tricare system to patients she never saw or examined in person. According to Craven’s guilty plea, a team of people worked to recruit and pay Marines, primarily from the San Diego area, and their dependents to obtain specialty medications that would be paid for by Tricare. Craven — an employee of Choice MD, a Tennessee medical clinic — spoke with the Tricare beneficiaries by telephone and recommended that they be prescribed the personalized medications, even though she had not examined the patients in person, according to prosecutors. The prescriptions were then signed by doctors employed by Choice MD and sent directly to pharmacies controlled by co-conspirators who, in turn, filled the orders and billed Tricare at exorbitant prices, court documents state. Between December 2014 and May 9, 2015 — the day Tricare stopped reimbursing for customized, or compounded, medications — physicians working for Choice MD signed 4,442 prescriptions and their co-conspirators billed Tricare a total of $65,679,512 for them. Josh Morgan, a former Marine from San Diego, pleaded guilty in April to health-care fraud for his role in recruiting Tricare beneficiaries to fraudulently obtain compounded drugs. The doctors who signed the prescriptions, Carl Lindblad and Suzy Vergot, pleaded guilty to the same charge in September. Craven was the seventh defendant charged in connection with the scheme. Ashley and Jimmy Collins, owners of Choice MD, and CFK Inc., owner of a co-conspirator pharmacy, were indicted in March for allegedly taking part in the fraud. Their case remains pending. Craven will face a maximum punishment of 10 years in prison and extensive fines at her sentencing hearing, scheduled for Feb. 8.